The Beauty Buff Blog: Duwop Day! If you're looking for some beachy color to lift yourself out of a pale-face inducing weather slump, check out one of my favorite bronzers by Duwop: Bronzerush. 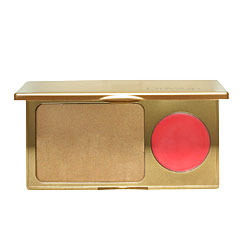 The bronzer, blush palette comes in two shades, August (a golden brown color and corresponding sheer cherry cheek gel-powder) and June ( a slightly more subtle golden tan with a poppy 'pinch your cheeks' kinda hue). The kit has a nice chunk of powder with a scoop of color for the skin. The bronzer is velvety smooth on and the gel to powder blush gives an amazing flushed glow and spreads effortlessly over the skin. If you want to add some metallic shimmers and highlights for the cheek and eye bones try two of my favorites from this cosmetics treasure chest. 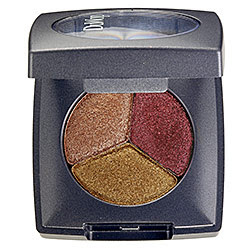 Crush Molten Metallic Eyeshadow Trio in the shade 18 Carat ($24.00, Sephora) is one of my fav eyeshadow sets because of how gorgeous the shimmery, richly pigmented shades look on everyone. This Duwop sampling is not only universally flattering, it adds a depth and glamour to your makeup routines and accents perfectly dusted cheeks to give a resort in Hawaii kind of look. The other thing I can't seem to leave the house without is Blushboosters ($22, Sephora.com). 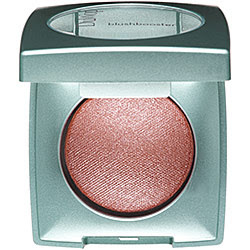 My shade of choice is Mango (a shimmering apricot bronzing highlighter) but all the shades add an impossibly chic sophisticated glamour and give the appearance of mile high cheekbones. I guess I'm really loving Duwop these days. Enjoy and match it with a fun wintery plum or white. By the time your done with these products you'll have forgotten it's the dead of winter and want to take a long walk on a warm beach. In fact wear white all year long with these bronze goddess, rich metallic shades and high Natalie Portman kinda cheekbones.